Banks aren’t the only institutions that offer credit cards. If you’re not having much luck getting approved for one, look into credit union credit cards. They offer more chances to get a credit card that can potentially make it easier for you. Credit unions are member owned, nonprofit organizations. This means their goal isn’t to turn a profit, and they don’t have to answer to stockholders like banks do. Instead, their main goal is to provide excellent service to their members. So yes, you do have to join to get the benefits of a credit union, but it’s pretty easy to do so. It’s not every day you get the chance to try again for a loan or a credit card. However, with a credit union, if you apply and are turned down, you can as them to look again. Some credit unions have loan committees that consist of employees and members. They are the ones who look over the initial application. But, if you want a low-interest credit card and believe you have the income to support it, you can write a letter to this committee to explain why. Even if you just want a fresh start, you can write to them and explain your circumstance. Credit unions want to provide you the best customer service to their members. That being said, they will attend to your needs and can basically be a friend for you during financial hardship. In doing so, they will work with you to modify loans and credit card terms to help you get back on your feet. You’ll often be offered a lower interest rate than you would with a bank. They manage transactions on their own as opposed to relying on different sections of the company to process funds. A lot of costs get cut this way, which saves you money. If you tend to take a few months to pay off your credit card, a credit union could potentially save you money in the long run. Having all your accounts tied together is also known as cross collateralization. Here’s how it works. If you already have a credit union credit card and get a loan, your credit card balance will be secured by the loan. Therefore, if you default or declare bankruptcy, the amount that is owed on your credit card will not be wiped out. Instead, it becomes secured by the other loan. If you get a credit card on a second chance, they may recommend that you to take a personal finance. This is to ensure you know how to budget correctly and stay on top of your payments. Of course, this isn’t always the case. Before you can be a member of a credit union, you have to approved for an account. For example, you may be required to have a job in a certain sector of the job force. So if you’re considering joining a credit union, it’s a good idea to call to see if you qualify for an account. While they will be there to help you out during your tough financial times, that doesn’t mean they are safe from tough times of their own. Credit unions are local institutions, so if one area is hit by something such as layoffs, they will feel it. Don’t be surprised if your credit union closes down or becomes part of a larger credit union. It can happen. Fortunately, just like with a bank deposit, you’re protected up to $250,000. 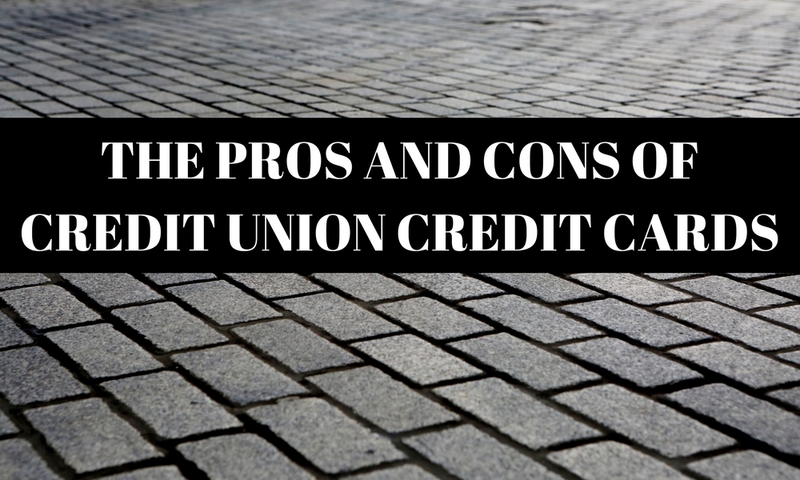 Do you have any questions regarding credit union credit cards? Give us a call at 1-866-991-4885. We’re happy to help. You wrote that due to the way credit unions are run, they aren’t trying to answer to stockholders so they have very reasonable rates. I’ve been meaning to take out a loan for something, and was wondering if I should work through a credit union. Knowing that they will treat me like family would be amazing, as it could really save me a lot of money over time. Thank you for the great article.